After food, housing and transportation, clothing and shoes is probably what eats up a good part of your monthly budget. You don't necessarily need to be a shopaholic for that to happen, either. 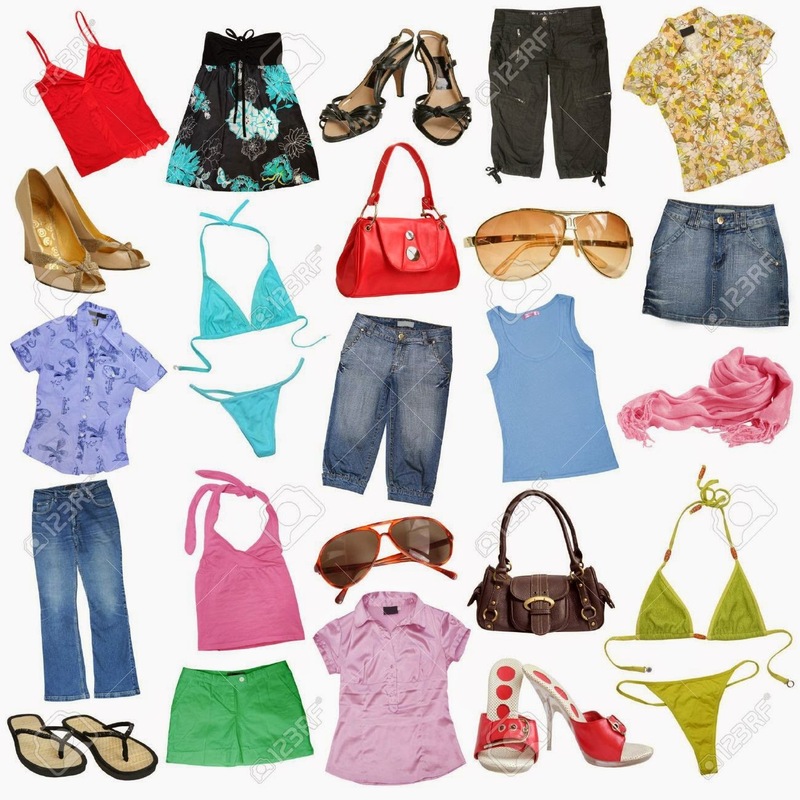 What with clothes fading and wearing out even with the best of care, changing sizes (yours as well as the kids'), and indelible staining, sometimes you need to replace your clothes and shoes. While I'm sure I don't need to introduce you to the concept of hand-me-downs or secondhand shops, they probably won't be sufficient for all your needs. Many of the local stores will give you just-OK quality for a rather high price; the price issue can be mitigated somewhat by using those vouchers you've received from work or by filling out online surveys, but since my husband and kids are rather rough on clothing, I'd rather pay a the same (or even less!!) for more durable clothing. So I've rounded up a small collection of stores I find are both reliable and provide good value for your money, though you may have to wait a few weeks to get your merchandise. The (lack of a) deal with local clothing notwithstanding, there are a couple of local online stores which are worth checking out before you look overseas. For formal office work clothing for both men and women, you can find good-quality, though very basic, shirts, jackets, and slacks at Worker. For NIS 35, they'll ship your clothing directly to your house, provided it's within the Green Line (which is kind of odd, given their logistical center is in Mevo Horon. But whatever). Otherwise you'll need to visit one of their brick & mortar stores around the country. Unlike many stores in Israel, their size range is vast (from XS up to size 8XL for some models), so it's likely you'll find at least something suitable for you. Another Israeli online clothing retailer which has received quite a bit of praise for good service and an easy return policy is 1item. This site is geared exclusively towards women and has some larger sizes called the "bodylicious collection", a nice (though not very large) selection and easy navigation. If you spend over NIS 200, you get free shipping - even to your house; otherwise, the fee is between NIS 15-25 per order. None of the items cost over NIS 100. While I'm sure most of the items are imported from China, the markup isn't large, you'll get your package promptly, and the quality of the items is very reasonable. If you like American brands such as Hanes or Fruit of the Loom, you can find them at Famous Brands. They're located in Beit Shemesh, so if you're in the area, you can order online and pick up your package yourself at no cost. Famous Brands also often has Groupons for certain items, such as this one (a 6-pack of white T shirts for NIS 99 instead of 199). Not quite as cheap as buying it in the old country, but far less hassle. I'm sure that there are other online local shops you might recommend (and you're welcome to do so in the comments), but those are the ones I have personal experience with. However, sometimes the local fashion scene just doesn't appeal to your or your family's taste. That's OK, because you can get plenty of good-quality, reasonably-priced clothing and shoes from abroad if you're willing to be patient. Most online shoppers probably don't need much of an introduction to Asos or Next, two large British online retailers with a huge selection, high quality apparel, a relatively short wait (7-10 days) for your items, and very low to free (Asos over £20, Next over NIS 75) shipping. If you aren't yet familiar with them, go to their sites and check them out, and don't forget to get your cashback if you buy - Quidco currently gives 3-8% for Asos and 4% for Next. Another British store you might want to check out is M & Co. While shipping isn't usually free (it starts at around £15), several times a year, they have promotions offering free international shipping. Cashback from Quidco is 3%, from Pouring Pounds - 2.25% - 4.5% . Glamorous is yet another British online retailer worth visiting, if only for the deeply discounted sale items. Quidco will give you 8% cashback on your purchase. Shipping costs start at approximately £10. Start Fitness has a large, reasonably-priced selection of exercise apparel, including shoes. Shipping costs vary by weight of the package. Quidco will give you 5% cashback for shopping at this site. In Part 2 we'll be discussing American websites worth ordering clothing and shoes from.